What is UTF7 and ANSI? Lua is a powerful embeddable scripting engine. It supports procedural programming, language-validation and extensible so custom procedures and functions can be added. Lua feature compatibility with EccoExt. The message-box function has been updated to include a “Copy To Clipboard” button to copy “error messages” or Lua execution “results” to Clipboard. In order to make Lua a usable scripting language within StoryServer, certain windows constructs have been added. Lua is already embedded inside StoryServer. You do not need to download any Lua DLLs, Lua EXEs to use Lua inside StoryServer. What happens if I get a message-box with '<global>' error? Lua is used in all locations — filter, scripting and auto-assign rules. If you get - cryptic <\global error>, nil not found, function not found, something not found. All Lua errors from STDIN and STDOUT is routed to a console window. Please open StoryServer Console to see exact error message. Which version of Lua is used? StoryServer uses Lua 5.3 in strict mode. This has clear separation of variables and function-names. The Lua syntax is slightly different than Lua 5.2 and Lua 5.1, so some EccoExt scripts previously made, will have to be re-coded to prevent Lua script errors. Dynamic Data Exchange was first introduced in 1987 with the release of Windows 2.0 as a method of interprocess communication so that one program could communicate with or control another program, somewhat like Sun’s RPC (Remote Procedure Call). It used the “Windows Messaging Layer” functionality within Windows. 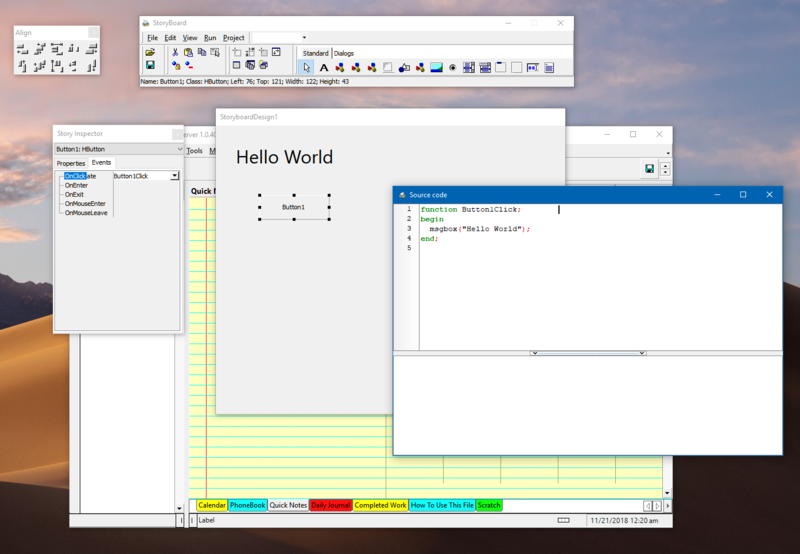 DDE continues to work even in modern versions of Windows. I get DDE Error 400A or 16394. Ensure DDE server is turned on. Ensure correct path is available. Ensure both are same admin level. Is there a 'debug mode' for DDE? There is a logging facility. To enable DDE logging, see StoryBoard > Options.